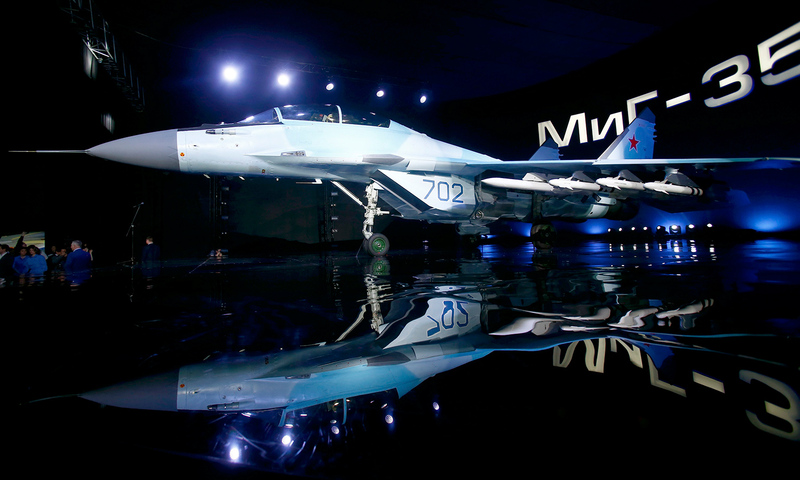 A new multi-role Russian MiG-35 fighter is displayed during its international presentation at the MiG plant in Lukhovitsy outside Moscow, Russia. The new fighter has a price tag of around $16.8 million. Experts surveyed by RBTH said a much lower price is one of the MiG-35's main advantages compared to international rivals. France's Dassault Rafale, for example, is twice the price.